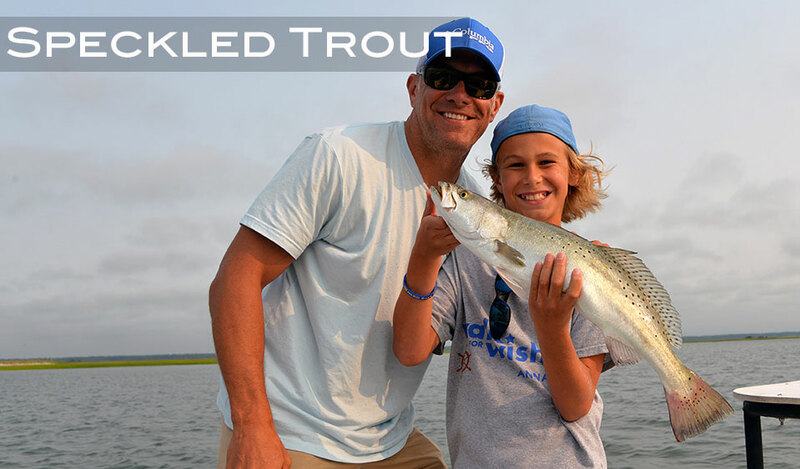 Speckled Trout or “Spotted Seatrout” are an inshore favorite here in Myrtle Beach. Which we target trout year around, they are very plentiful in the Spring, Fall, and Winter. Speckled trout are a lot of fun to catch on ultra light fly rods or spinning gear. Preferred techniques for trout fishing is with artificial lures grubs on a jig head or an artificial shrimp under a popping cork. Recent mild winters have really helped the seatrout population along the coast of Myrtle Beach. Maximum age: approx. 8 – 10 years.